With the Oscar predictions in the air, we are sure you are enthusiastically waiting for the O-Day to arrive. Along with honoring some of the best artists across the globe, Academy Awards, over the decade, has also repeatedly given us few of the boldest and rebellious moments in terms of fashion on the red carpet. Taking you back to the memory lane, we have today gathered and compiled a list of 10 most memorable fashion choices at the red carpet event that were equally shocking as surprising. 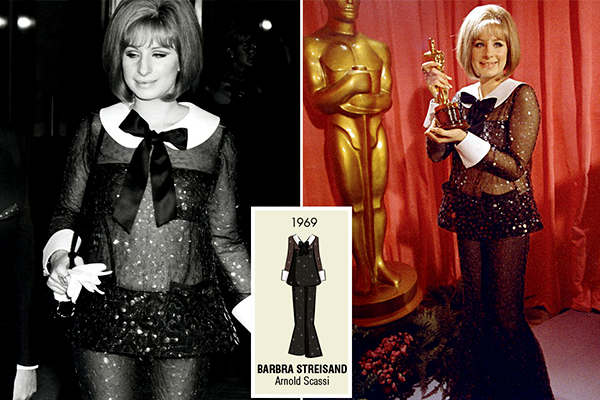 Although she opts for more subtle choices now, back in the 60s Streisand collected her Best Actress Oscar for Funny Girl in a glittery, flare-legged, see-through pajamas. We don’t need to say it was an unexpected and unthought through choice even for today. Icelandic singer Bjork unquestionably wore the most parodied dress in the history. The singer even carried an egg-shaped purse to make the feathery matters worse. In 2002, Halle was the first black woman to ever win a Best Actress award at Oscars. And, she did not just grasp our interest with a mind blowing performance but also with this Elie Saab gown that just barely covered the essentials. The sheerness still makes the gown a bold choice for the Oscars. Blanchett’s 2011 Oscar dress was equally muted and risque at the same time. This out of the ordinary, high fashion look definitely deserves a spot on our list of the boldest fashion choices. We do always look forward to seeing her unique fashionable choices on the red carpet, and Theron managed to carry forward our expectation with her rosey-bossomed Dior gown in 2011. If we have to name one actress who could carry this accentuated bodice look with charm then it would definitely have to be Charlize. We are still unclear that whether the Canadian singer wore the Pantsuit backward or it was the actual design. Either way, the crisscrossed look open back look has always been a bold choice for the red carpet. The hat definitely capped this badass look. We don’t know whether to call this Cher look risky as per her standards or just consider it her expression of everyday ordinary. 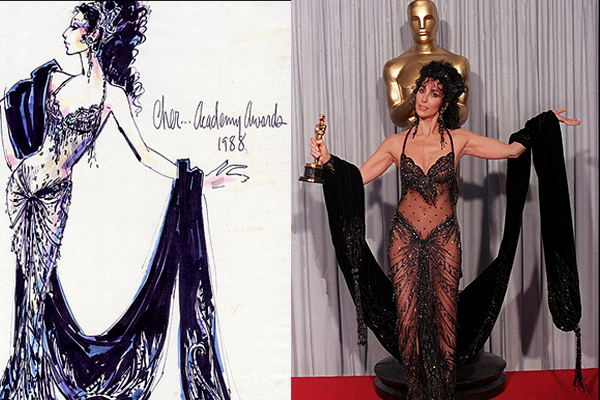 Cher and Bob Mackie go together like feather headdress and exposed hip bones at the Oscars. Generally seen to highlight and show off her lean and thin frame. Thurman risked it a bit too much in swaggering milkmaid number that had the most number of fashion critics losing their head. 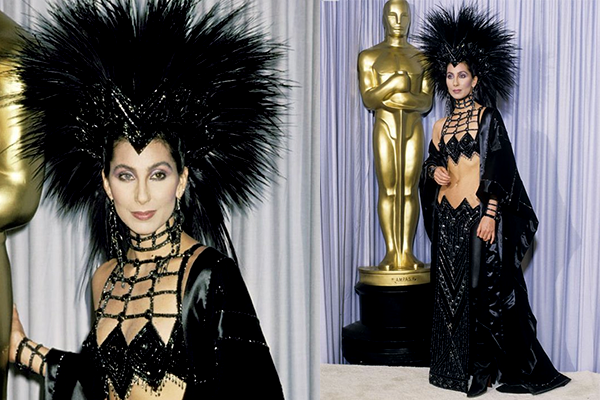 We can call this look Cher-conservative back in the day, but it would be a big miss if we did not include both her crazy outfits at the Oscars. Although she was widely criticized for her bra-free Alexander McQueen look, we can at least give her the benefit for having tried something new after her appalling bubblegum Ralph Lauren prom dress she wore to the Oscars years earlier. Comment and let us know your pick for the most rebellious fashion moment at the Oscars.